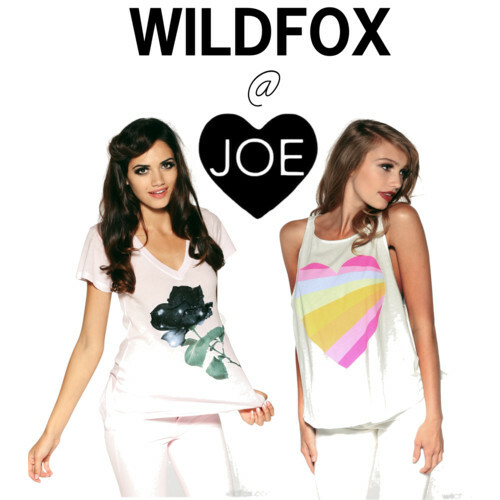 shop JOE: WILDFOX at JOE! The styles we have in store include the Space Rose Classic V-Neck ($64) and the Over The Rainbow Cassidy Tank ($59). Check back soon for WILDFOX additions to the JOE online store!